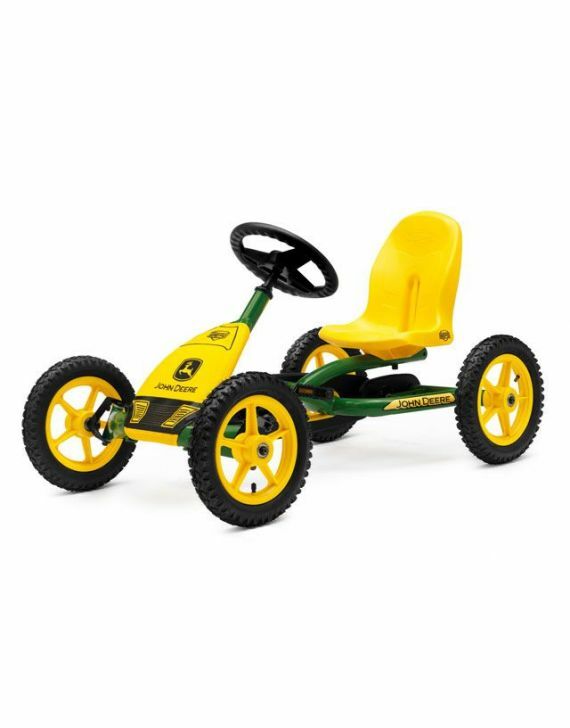 This BERG John Deere go-kart will turn you into the best helper a farmer can wish for! 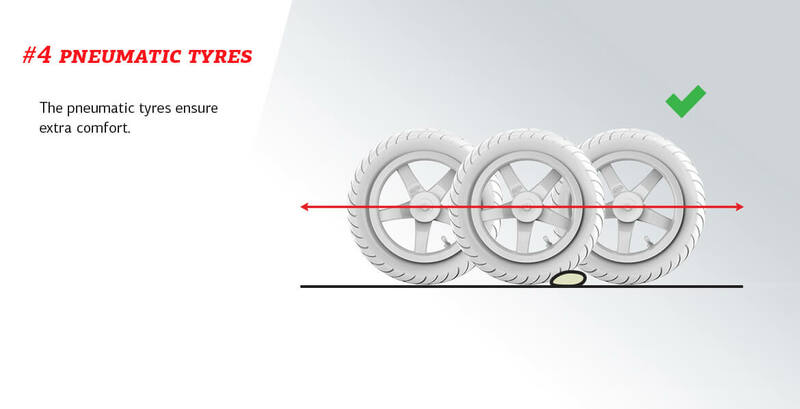 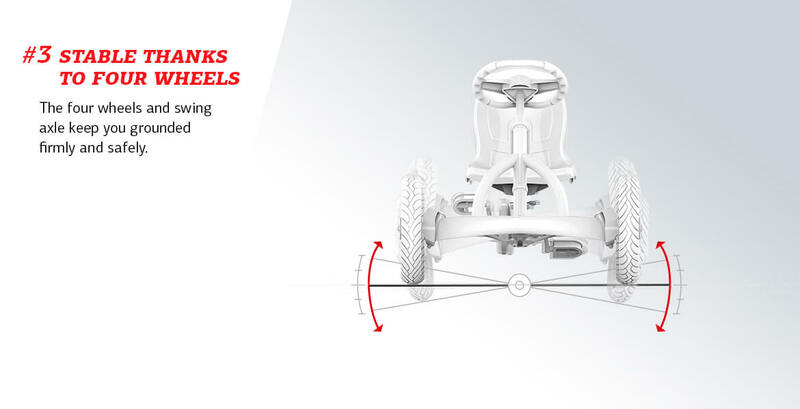 The impressive deep-tread tyres and the swing axle will give you additional grip in the mud and keep you firmly on the ground on uneven terrain! 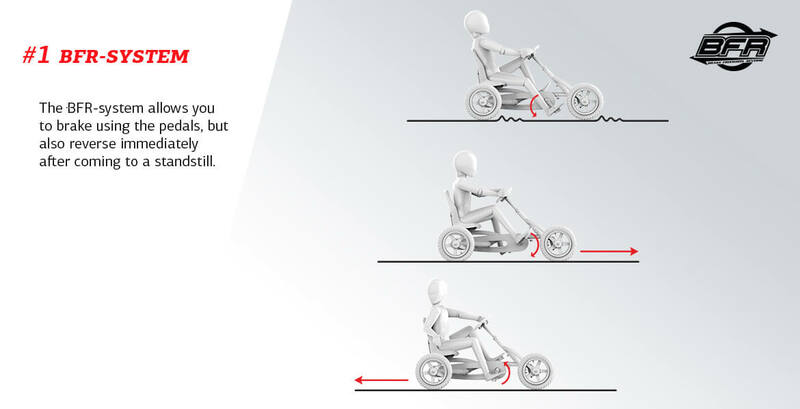 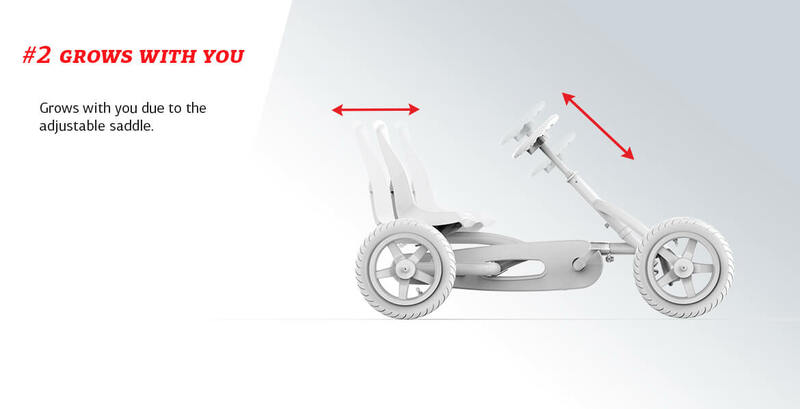 The unique BFR system means you have a back-pedal brake, whilst you can still easily pedal forwards and backwards.